Anyone with an interest, a little knowledge and the proper equipment can try their hand at maple syrup production, assuming they live in a maple syrup-producing region such as the northeastern United States or eastern Canada. Maple syrup is considered one of the oldest natural food products in North America, dating back to the Native Americans! 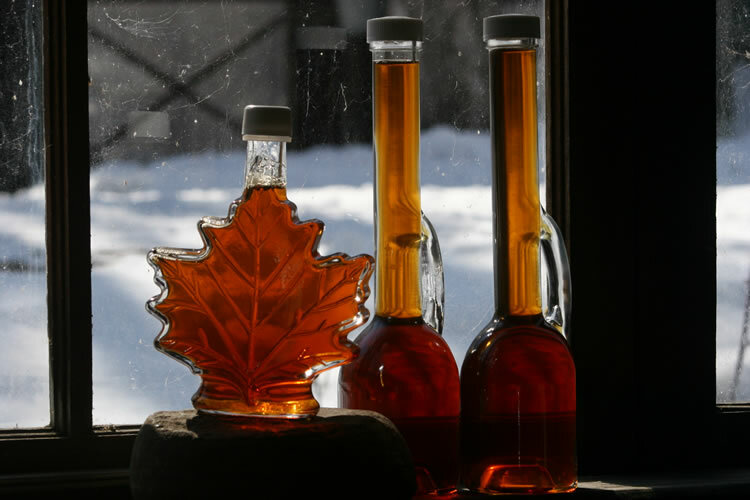 Information on producing maple syrup is available through organizations such as the The New York State Maple Producer’s Association or your local Cornell Cooperative Extension. As for acquiring the proper equipment and materials, do a little online research and look for maple equipment dealers in your region. You might also find some used equipment for sale in the classified section of your local newspaper, or on consumer websites such as MapleTrader,com. Most hobbyists will find the experience of producing maple syrup to be fun and rewarding. Just keep in mind that the tree-tapping season is short — usually only four to six weeks — so be sure to plan ahead! What Tools Will I Need to Get Started? Cordless Drill with drill bit (the most common sizes today are 5/16-inch or 19/64-inch). Spile, made of either metal or plastic for each taphole. Bucket with cover or plastic sap collection bag or plastic tubing (all food grade). Collection or storage containers such as plastic or metal barrels (several gallons in capacity and leak-free) for sap storage before processing. These need to be clean and made of food grade material! Plan for storage capacity of 1-2 gallons for each tap. Pan with high sides and a heat source for boiling sap. Stainless steel with lead-free solder or welded seams strongly suggested. Heat source can be wood fire, propane or camp stove. Thermometer calibrated to at least 30 degree F above boiling point of water. Kitchen or candy thermometers may be adequate but must be easily readable above 200 degrees F.
Filter for filtering hot finished syrup (food quality).